Tomasz Teluk, Ph.D. is a policy analyst. He received Ph.D. at the Jagiellonian University. Teluk served as an economic analyst in the Centre for the New Europe in Brussels and in the Adam Smith Center in Warsaw. He is a founder and president of the Globalization Institute. Additionally, Teluk is a columnist and author of the following books: ”E-biusiness, a New Economy” (2002), ”IT in a Firm” (2004) and ”Libertarianism. A Theory of State” (2006) and co-author of “State of the Union” (2005), “Theft and the Economic Development” (2006), “Report about the Health Care in Poland” (2006). His commentaries have been published in "Rzeczpospolita", "Wprost", "Dziennik", "Forbes", TVP, Polish Radio, BBC, Radio Netherlands, Lithuanian Radio, TCSDaily.com and many more. Jacek Spendel graduated in sociology at the University of Silesia. Jacek was president of the KoLiber Association. In fall 2009 he studied at the Georgetown University and served as an intern for the Eastman Kodak Company. Earlier, Jacek worked for Institute for Free Enterprise based in Berlin. He was main organizer of the Liberty English Camps in Poland in 2008 and 2009. Andy Eyshen is a management consultant from Kuala Lumpur, Malaysia, an Australian citizen, originally from Luxembourg. Andy's special contribution to LLI and the English camp is his broad experience with consulting, organizational development, and training programs. During the camp, Andy will teach classes about entrepreneurship. David combines a life-long interest in energy and free markets in his current position. Prior to joining Institute for Energy Research, Hutzelman had a 30-year career in information technology at a Fortune 100 energy company, overseeing a staff of more than 100 and an annual budget of $20 million. Hutzelman holds a BA in Mathematics from Kenyon College and MS in Statistics from Stanford University. He has been published in a variety of publications on private property, free market approaches to social problems. 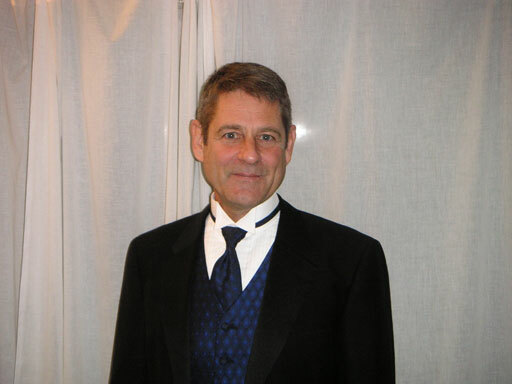 Glenn E. Cripe is the founder and executive director of the Language of Liberty Institute (www.languageofliberty.org), an American NGO whose mission is to bring the tools of freedom to students in developing countries. Their primary activity is organizing week-long summer camps where students practice English conversation with native speakers, explore classical liberal philosophy and economics, and learn how to apply the principles in daily life.